Software-as-a-Service. Platform-as-a-Service. Everything-as-a-Service. For digital natives, delivering “as-a-service” is just what they do. 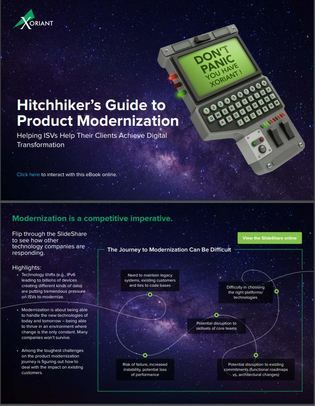 But getting there requires the sometimes painful yet totally essential process of application modernization. In this interactive guide, learn what kinds of technology changes your organization should be considering (Microservices? Automation? Predictive analytics? Conversational UX?) as part of an application modernization initiative, and how to map out which areas are most important based on your company’s needs.